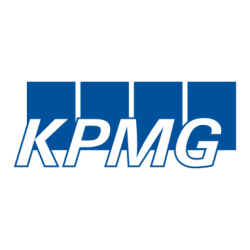 KPMG is a professional service company and one of the Big Four auditors, along with Deloitte, Ernst & Young (EY) and PricewaterhouseCoopers (PwC). Seated in Amsterdam, the Netherlands, KPMG employs 189,000 people and has three lines of services: financial audit, tax, and advisory. Its tax and advisory services are further divided into various service groups. The name "KPMG" stands for "Klynveld Peat Marwick Goerdeler."